I’m about 1/4 of the way through. You’re going to fall in love with it! 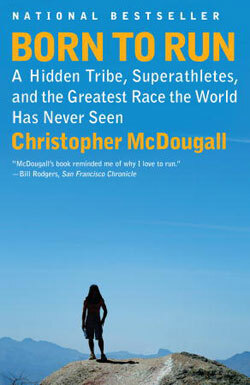 I’m an avid runner as well and have read a ton of articles and books on running. This one is so different from the rest. Typically running books are just about technique with little antidotes to follow, this one, is a full on story that inserts the importance of form, information on shoes and details of racing. I do have to admit, the beginning of the book was really slow for me and I found myself skimming a few pages but by the end you’ll be racing along right with him. Enjoy! I’ve read it.. AMAZING.. I’ll bet you want to do Ultra’s afterwards.. I know I did! =] ENJOY! !